An image consultant is basically a second, expert opinion for your style choices. An image consultant will teach you how to show your personality through your outward image. 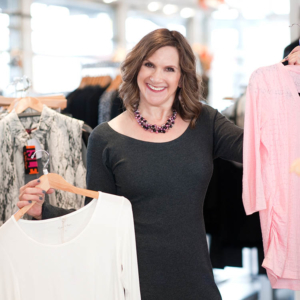 Unlike most professional shoppers who receive a commission off of their sales, an image consultant’s focus is on their client’s specific needs, not the bottom line. He or she will choose pieces that are not only flattering, but also fit the image their client is trying to portray. What should I look for when choosing an image consultant? When searching for an image consultant, there are a few important points to consider. The most important thing is that the consultant should be entirely focused on your needs. If your prospective consultant seems to have an ulterior agenda (will only shop at certain stores or refuses to acknowledge your personal tastes), he or she is not for you. On the other hand, your image consultant should not be a doormat. You want someone who will challenge you to step outside your box and will encourage you to make style choices that better represent who you are as an individual. You should get along with your image consultant. If you can’t stand the thought of spending a shopping outing with your consultant, keep looking. For this process to work, you must understand and respect your image consultant’s opinions. Am I going to have to buy a whole new wardrobe? No. Caryn works with you to make the most of what you have and will usually recommend pieces that complement what you already own.